SKU: 07d4fda8f58a. 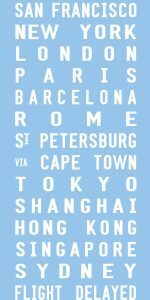 Availability: In stock Category: World Scroll Designs. 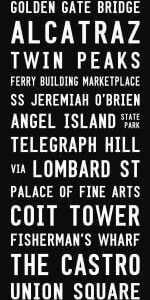 Tags: New York / NYC - Modernista - Letterpress font. 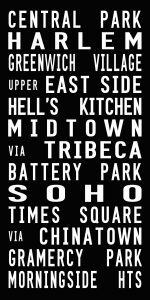 New York City Modern Style Word Art Canvas Print in Letterpress Font. 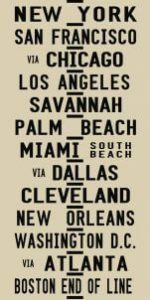 The most modern variant of our Tram Scroll style; aptly called the Modernista style, this eye-catching design showcases a lot of words/destinations, in this case, this wall art print is for New York City.